Because cannabis is fat-soluble, it must be infused with a fat-based substance before you can use it as a substitute for regular butter or oil. The unfortunate truth is, most people are not educated on how to create the best infusion with their cannabis. Butter and olive oil are common ingredients, and while they will work, they do not offer the same benefits as another alternative – coconut oil. Who Should Use Cannabis Coconut Oil? Cannabis coconut oil is for anyone who wants to create a natural, homemade solution that will give them a high while providing them with a range of health benefits. If you want to have your very own pain and stress reliever by baking or cooking your own edibles, or by creating a cannabis-infused topical treatment, we’ll show you how. The most effective cannabis infusion starts with coconut oil, which ensures that the end product is more potent and more versatile than any other infusion process. So, with that in mind, let’s begin. Both cannabis and coconut oil possess their own array of health benefits, but when they are combined in an infusion, you get the best of both with the resulting coconut cannabis oil. You’ve probably read a lot of outlandish claims when it comes to cannabis. Some people make exaggerated declarations because of their own biases. Don’t worry. In this article, we will keep our information honest and to the point. There has been some correlation made in studies between the long-term use of cannabis and psychosis, depression, and even schizophrenia. It’s important to note that correlation doesn’t mean causation, but when people talk about the risks and downsides of cannabis, that’s normally what they are referring to. And when people talk about cannabis, they are often talking about THC, which is the psychoactive component of the plant. 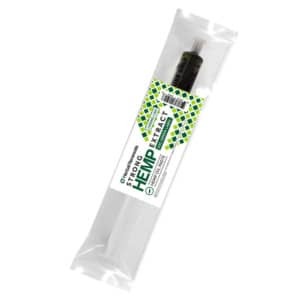 THC provides the obvious benefits of relaxation, pain relief, and a general feeling of calm along with its “high.” It’s also been shown to help with moods, stress, and feelings of uneasiness. Where Does Coconut Oil Come In? Coconut oil is high in saturated fat. This may sound unhealthy, but 95 percent of the fats that make up coconut oil are actually good for you. They also digest much easier than other chemically altered and unnatural fats. The fat in coconut oil is processed by your body immediately and turned into energy, instead of getting stored away as fat. Topically, coconut oil offers an easy substitute for shampoo. It can also be used as a natural moisturizer, a body scrub, and even a face wash. Like we said, both key ingredients in this cannabis coconut oil infusion are highly versatile. While the benefits of using coconut oil both internally and externally are numerous, this simple, natural substance is not a cure-all. It is more like a supplement to a daily regimen that supports our overall health. You can use coconut oil without the fear of the drastic side effects that accompany many pharmaceutical drugs and yet still see notable improvements to your well-being. It is this proven health food that we will be using for our infusion. 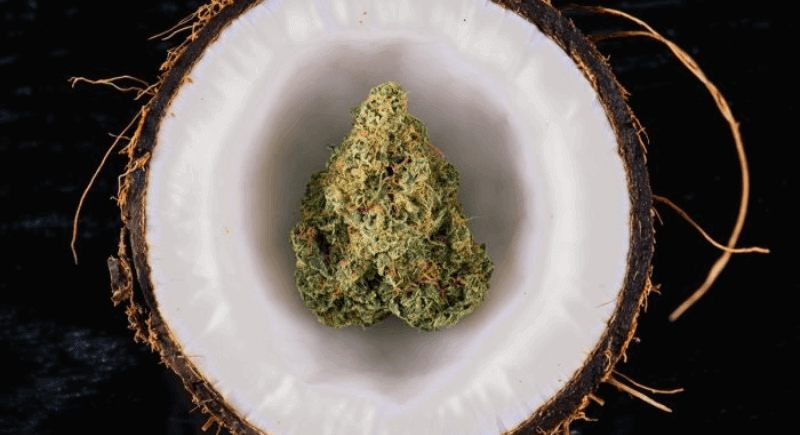 How Do Cannabis and Coconut Oil Work Together? Because cannabis is fat-soluble, it must be combined with a high-fat substance to create a proper infusion. Butter’s composition includes around 60 percent saturated fat, while coconut oil has an astounding 90 percent. That means the infusion you create from coconut oil is more potent, more effective, and will give you a stronger high than any other infusion. Another selling point of coconut oil is that, unlike other infusions, coconut cannabis oil will not melt at room temperature. The higher melting point leaves you with an infusion more suitable for a topical treatment, as it is less messy and easier to apply to the skin. This practical use alone is the reason some people only create their cannabis infusion with coconut oil. Coconut oil infusions also provide a versatile component for cooking and baking, as they have a higher smoke point than many other oils, making them more suitable for cooking at higher temperatures. 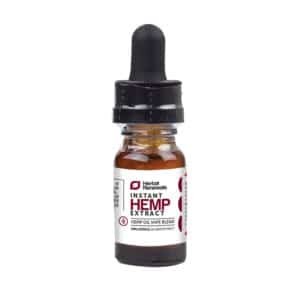 It is hard to get bored with such a rewarding, interesting, and dynamic substance as coconut cannabis oil. So far we have looked at why coconut oil creates the best infusion, the separate benefits of cannabis and coconut oil, and how they work together. Now, it is time to have a look at what you will need to do before you can create your own. Before you can make your infusion you will need to acquire a few components, and will also have to prepare your ingredients properly. First of all, you must decarboxylate your cannabis, turning it from THC-A into THC. All decarboxylation does is release the carbon dioxide from within the cannabis and remove the carboxyl group from the THC-A, which fully activates your cannabis so it is psychoactive. So, in simple terms, you need to go through this process if you want your coconut cannabis oil to create a high. To decarboxylate the cannabis, you will need to bake it in the oven so it becomes activated. For this, you will need an oven-safe dish. Fill it with your cannabis, cover it with foil, and bake it at 240 degrees F for 50 to 70 minutes. Once baked, your cannabis will be activated, having changed from THC-A to THC by losing both its carbon dioxide and its oxygen molecules. This process creates a strong smell, so be sure you are prepared for this before you begin and make sure you monitor the oven’s temperature, as cannabis will burn at around 250 degrees F.
Lecithin – Is It Optional or Necessary? Lecithin is a substance added to edibles that increases your body’s absorption of cannabis after it’s consumed. While lecithin is not necessary for creating infusions for edibles, it is a good addition if you want to maximize the effectiveness of your coconut cannabis oil. If you’re concerned with the use of artificial ingredients or GMOs, try a sunflower lecithin. This can easily be obtained from your local health food store, or you can also find it on Amazon. Now that you’ve decided to create your own coconut cannabis oil, the next question is what strains and forms you should use. The answer lies in what you hope to get out of your oil, as different variants produce different effects. A strong sativa might be appropriate if you want to create a coconut cannabis oil that uplifts you and makes you feel more creative, whereas an indica may be better suited to helping you relax and get to sleep. Whatever you need from your coconut cannabis oil, make sure you pick the right strain to do the job. Generally, it is recommended that you use a combination of both the flower and the trim. If you only use the trim, you will need more of it to get the same effect. The best way to store cannabis oil is in a clean, sealed container in the refrigerator. It will keep for up to a year when properly stored. Plastic will compromise the infusion over time, so use a glass container instead. Combine oil and cannabis in a saucepan on very low heat. Simmer and stir occasionally for 2 to 3 hours. Make sure the oil stays around 240 degrees F.
Strain by first lining your strainer with cheesecloth and placing it over a large bowl or container, then pour the mixture over it. Let the oil drip for an hour or so. The rest you can squeeze out by hand. Cool to room temperature to avoid condensation before transferring to the fridge. Combine oil and cannabis in a slow cooker and set the temperature to its lowest setting. Simmer for 4 to 6 hours, stirring occasionally. Make sure the oil stays around 240 degrees F.
Be sure the temperature does not exceed 250 degrees F, as this is the temperature at which cannabinoids will begin to burn off, rendering your cannabis less potent. If the oil begins to smoke, remove it from the heat and let it cool for a bit before returning it to the heat. Monitor the cooking temperature to avoid this. You don’t have to finely grind your cannabis, but if you are using buds, break them up a little before adding them to the oil. If your canna oil turns out really green or not green at all, that’s not a problem. The greenness relates only to the chlorophyll present, not how strong the cannabis coconut oil is. What’s most amazing about coconut cannabis oil is how versatile it is. While it may take a bit of work to create, now that you have it you can begin to experience the benefits. The most obvious use for cannabis coconut oil is as a substitute for butter. Because it has a similar consistency, it can be used for all your cooking and baking requirements where you would normally use butter. This means you can create incredible baked goods with coconut cannabis oil. Brownies and cookies are popular, but anything that goes in the oven and needs butter can be made into an edible with your oil. Keep in mind that the dosage may be quite strong! Don’t consume edibles if you are going to be driving or if you need to be in your normal state of mind. It is well known that cannabis can provide relief for many chronic, painful, and ongoing illnesses. (5) Coconut oil, as well, has a string of health benefits attached to it. With cannabis coconut oil, you get the best of both. It is one of the few infusions that can be stored at room temperature without melting (although refrigeration will increase its shelf life). This makes it ideal for topical application as an effective pain reliever. Another cannabis-based product that may help with pain relief is CBD, or cannabidiol. We’ve mentioned it before, and here at Healthy Hemp Oil we have a lot of information on how it may help you. You can have a quick look here. Living in a modern society often means taking on huge amounts of stress, thanks to consistent work pressure, high expectations, and over-stimulation. If you are not treating your stress, it will weigh heavily on you and begin to produce negative effects, possibly even leading to illnesses like heart disease and depression. (6) Coconut cannabis oil can help you deal with this stress, as cannabis can be a powerful relaxant, leaving you in a more calm and peaceful state. But it may not be a sustainable stress reliever for everyone. One alternative is CBD, or cannabidiol. 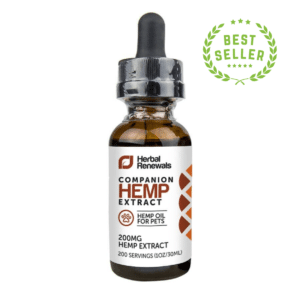 It has no psychoactive effects, so you can’t use it to get high, but it has been known to provide a deep sense of relief and relaxation, especially for those suffering from chronic pain or discomfort. There are also no side effects like raised cortisol levels. We offer a wide range of products and information that you can have a look at if you’d like to learn more. Need to Get into a Better State of Mind? Sometimes we get down. It’s one of the costs of being human. Suffering is a universal phenomenon, but it doesn’t mean we can’t do anything about it. If you have had a bad day or a bad week, and just want to take your mind off your problems and spend some time enjoying life, an edible made with coconut cannabis oil is one of the best ways to go about it. You’ll get to see things from a different perspective and experience a better mood that would have been hard to reach without a little help from your coconut cannabis oil. Cannabis has been shown to improve moods and outlooks, so don’t be afraid to enjoy the benefits when you use your coconut cannabis oil. Now You Have All You Need. What are You Going to Do? 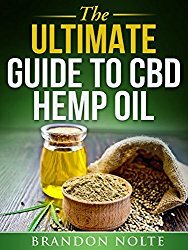 You now know why coconut cannabis oil is popular, what its benefits are, what you can use it for, how to make it, what to look out for, and why it is the best infusion. The benefits of cannabis and of coconut oil separately are nearly endless, and when combined, it just gets that much better. 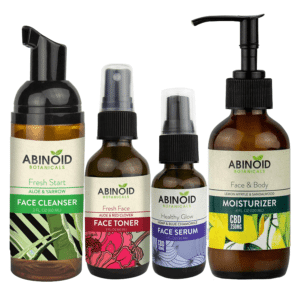 You can read more from our blog and get a better look at our products. We want you to be healthy, relaxed, and filled with joy. So, what are you going to do with your cannabis coconut oil? Leave a comment and let us know.